You may think that an engagement ring is a simple thing, but from a jeweler’s perspective, nothing could be further from the truth. Engagement rings have so many variations and possibilities. Knowing your options will help you to know what fits you best. I like to compare engagement rings to a mountain. The top of the mountain is the head of the ring, where the diamond is held. The head is the prongs and setting for the diamond. Something important to remember about the head is that depending on the setting, it can be removed and a new one can be put on. So for example, if you decided to upgrade your diamond from a .5 carat to a full carat, you could keep the ring, remove the head, and put a new setting and diamond on it. 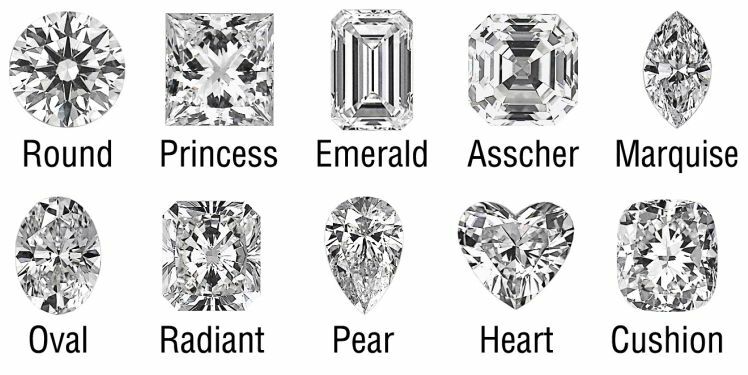 The head can have a very different look depending on the cut of the diamond you choose. 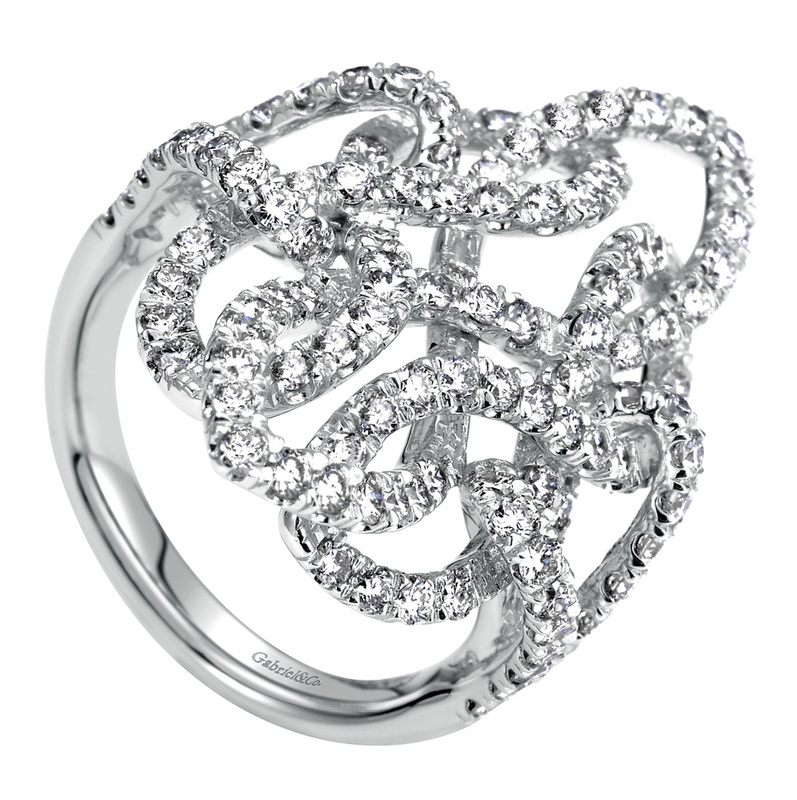 The middle of the mountain is where you see additional designs and decoration on the ring. Sometimes the engagement ring is a solitaire, so this might be part of the wedding band portion of the ring set. Baguettes are a popular style for this portion of a ring. 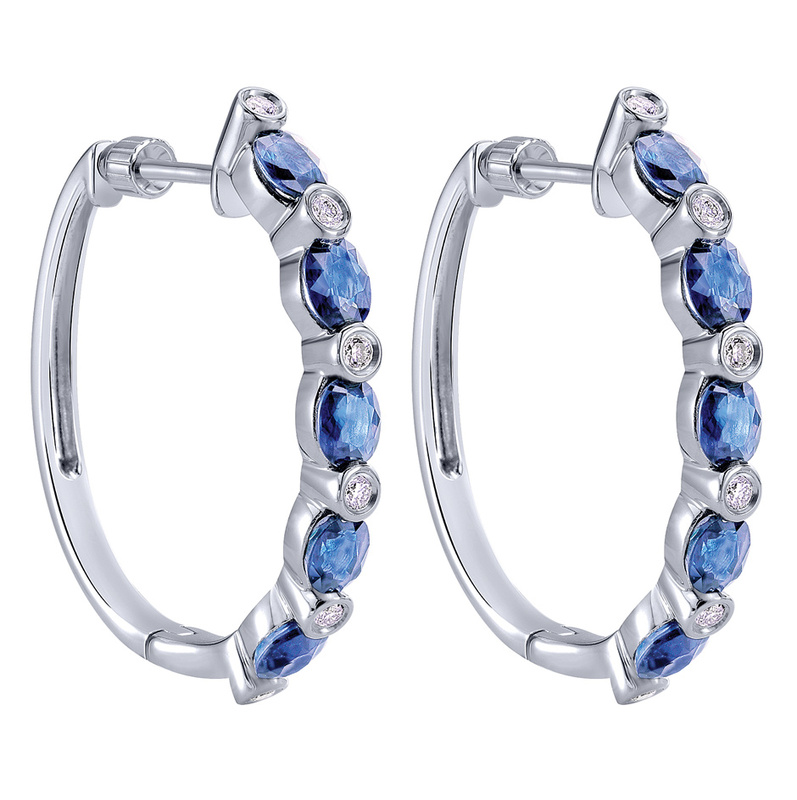 The three stone style is very popular as well and symbolizes the past, present, and future of your love. The shank is the part of the ring that slides onto your finger. It used to be typically circular and rounded, but now the styles are changing. Sometimes a squared style is preferred by a client for look and especially for comfort. No matter what kind of ring you decide to purchase, be sure that it reflects you and your unique style. And if you don’t see what you want, make it yourself! I love custom rings and I can create just about anything your imagination can dream up. What Does a Diamond Ring Mean to You? Being a jeweler means that diamonds are my business. For many people, the magic and wonder of something loses its luster after long exposure has made it familiar. But for me, diamonds remain just as incredible, beautiful, and ethereal as they ever were. The lore, history, and symbolism of diamonds and wedding jewelry is important to me as a jeweler. So I want to take some time to share what I know. Perhaps it will help you as you choose or design your wedding ring with me. Diamonds have a long history of symbolizing beauty, power, eternity, and, of course, love. One of their earliest moments in history is evidence of diamond mining in India. Devotional statues of a powerful Hindu god often had diamonds for eyes. Greeks believed diamonds to be teardrops from gods. Romans claimed that splinters of shooting stars fell to the earth as diamonds. Harder than any other substance on earth, and a brilliant and beautiful as a little piece of the sun – diamonds are and will always be a majestic stone to wear. I think a true, circular wedding band is essential to the style of a ring. The well-known unending loop as a symbol of eternity is important, especially these days. The completed circle of a wedding ring has no beginning and no end. It returns to itself. And so we wish for our loved ones that their love will be without end. I’m not really tense about this particular type of ring – but I do have some opinions on them. I have been asked on multiple occasions to design and create custom jewelry in the style of a tension ring. If you are familiar with this look, you’ll know that it doesn’t actually close in a full circle. Many people who like the tension ring will talk about the diamond as the bridge connecting the ring. But for me, it is inherently a broken circle. My tension ring uses a bridge underneath the diamond so that the ring itself is still connected but you have the illusion of the diamond floating between the bands. It preserves the meaning of an eternal wedding ring AND it is far more practical: it can be resized, unlike true tension rings, for example. Your vein of love or “venas amoris” was believed to flow in a path from your heart to, you guessed it, the third finger of your left hand. This belief was espoused by the ancient Egyptians and somehow it has perpetuated so many thousands of years to today. It is rare to see a wedding ring on any other finger. It’s clear that everything surrounding love, romance, and marriage is abundant with symbols. Learning about them can help you understand the common traditions and make it easier for you to decide what you want in your own ring. Enjoy celebrating your love, whether new or decades in the making. Happy Valentine’s Day! As your jeweler, I can get you the perfect engagement ring but there are some other things you need to know about proposing in order to do it just right! Or should I say, fiance? Having been a jeweler for as many years as I’ve been, I know a thing or two about proposals. So men, listen up! Because these are 4 easy steps you can follow to WOW the love of your life with the perfect ring. I know, I know. You want to surprise her! Of course you do. But honestly, guys, I can tell you right now, she knows that it’s coming. She doesn’t know the details, and that’s where you can really make it special. But she is very aware of the fact that it’s coming. I’d say that’s true about 98% of the time. You don’t have to talk in detail. Frankly, you probably have no idea about half the terms she’ll use when she tells you what she wants. What you need to do is hone in on the diamond or sapphire. Yes, I said OR sapphire. Some women don’t want a diamond. You can massage your way into the topic by commenting on someone else’s ring and making a mental note of what she says about it. Or maybe you can see her Pinterest board for “my dream wedding” or show her our “wedding inspiration” or “Marx Jewelers” Pinterest boards. If those don’t work, just ask her. She’ll tell you the cut of the diamond at the very least. She might also tell you that she wants it colorless or what clarity she would prefer. She might also say that she wants a big rock (she’ll say it modestly of course, but you can tell she wants a big one) or that a big one would get in the way and she wants a small one. Bring this information in to me. I’ll tell you about the stone and what she’s looking for and the various options you have. At this point you also need to decide what your budget is. After all, a diamond can be anywhere from $500-$50,000. Choosing the solitaire diamond at this point is the most important thing you can do for her wedding ring. A good diamond is your goal. Using her preferences and your budget, we’ll adjust the colors, sizes, and clarities until we come up with something that works for everyone. You might go with a slightly colored diamond in order to have a bigger size, for example. I’d say about 80% of women like a solitaire diamond in a Tiffany style setting, which has four or six prongs, typically. It’s the classic look of an engagement ring. The important thing to remember here, men, is that you are purchasing the diamond, not the ring. The setting allows you to pop the question, receive that hoped for shout of “Yes!” and slip the ring on her finger immediately. She can wear it as soon as it’s official. She’ll “oo” and “ah” over it. Show it to all her friends. Post a picture of it on Facebook. You’ve seen it before. And that’s how you know you did it right! But after a few days or weeks she might start talking to you about wedding band designs. Maybe a Tiffany style 4 or 6 prong setting isn’t quite right for the band design she wants. Or she was hoping for yellow gold, not white gold. At this point, you tell her with the confident swagger of a man who knows exactly what he’s doing (because you do! ), that it’s no problem. Make a date with her to come into my store, perhaps with a nice dinner following our appointment. At this appointment, she can tell me everything she wants in her ring. We can either use the solitaire, or you can get a full refund by returning the ring and placing the diamond in a ring designed to match her taste and preferences. Read last week’s blog to understand the process for creating a custom ring with me. Here’s to you, men, proposing to the love’s of your lives. Good luck! I recently wrote about the history of jewelry making. I learned how to make jewelry using fabrication arts and direct metal work. Today, I do much of my design using computers and new technologies. But I haven’t lost that artistic touch. What does this mean for you, though? As my client, I wanted to translate some of what I said in my previous blogs into practical steps and information for you to use. Here’s what to expect if you are creating a custom piece of jewelry with me. Looking at the very unique inventory that I have in my store can sometimes inspire my clients. But I’d say that 100% already have their own “concepts” or ideas. If you have drawings or pictures to help describe what you are looking for, please bring them in. This is where we simply talk about what you want. I’ll start sketching it out and putting our words onto paper. I have intensive archives of what I’ve done in digital form: renderings and 3D images. And of course I remember the pieces I’ve done. So I will often times pull up other examples of what I’ve done to show you. Looking at the 3D rendering can finetune the design beyond what I can do on paper. It makes a difference to use the CAD Cam process. I can quickly put a ring on the computer right in front of you and we can start tweaking it here and there to make it yours. For example, you might not want the smaller diamonds along the side of the main stone. So I take those out and you can immediately see what it looks like without them. It’s right before your eyes as we create it. Some of these changes are immediate. Some take a little extra time to get just right. If this is the case, then I can email you the rendering once the adjustments have been made. You can approve it or give me more feedback. It makes it easy! The next step in this process is the replica. My computer program is connected to a machine that creates wax replicas of whatever piece of jewelry I choose. Once I have that a master model can be created. The metal is cut and fabricated using the wax replica as an example. This real piece of jewelry is often called the Master model. In other businesses, this master ring serves as the model for the cast, and the rings that are sold are “clones” of the master. At Marx Jewelers, what we give you is the Master! Masters are always more detailed and sharper than those clones made from a mold. And it’s often sold at the same price or even lower than competitor’s clone rings. At this point, I set the diamond(s) and/or stones and polish it up so it sparkles! This can be done in as little time as 1 week! Many clients who come into Marx Jewelers are surprised by the fact that I don’t always have a ton of jewelry on display. But that’s where you have to remember the custom work that I do. The second story of Marx Jewelers is my shop. I make much of the jewelry I sell in that place and when I finish it, it goes directly to the client. 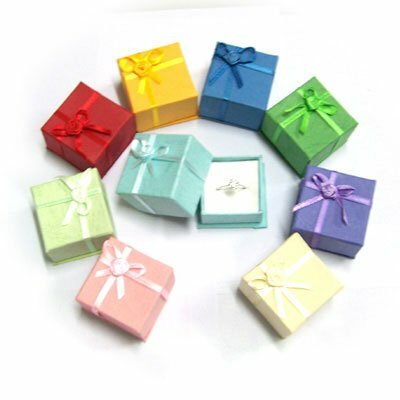 We design, manufacture, and sell the jewelry all in one place. My lack of display jewelry, then, is just a reflection of my dedication to custom creating unique pieces for each individual client. And that’s really where my passion in jewelry is. So I hope to see you soon! That dreaded word that keeps so many people from designing their own jewelry. The biggest fear of custom work is that you won’t like it or the jeweler won’t get it right. Lots of people have bad experiences with it. They can’t visualize it all or describe it to the jeweler. That’s why we offer visualization at Marx Jewelers. You can see your future piece almost in real life with the accuracy of the 3D renderings. This way, you can really know what it’s going to look like. It takes out the fear of disappointment. That should put you at ease regarding the usual fear people have about custom work, but what other reasons are there to do custom jewelry instead of buying from a chain store? The difference between Marx Jewelers and all those other chain jewelry stores is in two parts: the creation and the numbers. The chain stores design their jewelry according to current trends and what they think will sell the best. They look at the general consensus. At the public. When you work with me directly, you become my sole focus – my unique inspiration for the piece we co-create for you. It is entirely a reflection of who you are and what you love. It’s not about the masses. It’s about YOU. Where the jewelry chain stores make their money is in sheer volume of sales. They cast and create hundreds, if not thousands, of the same designs hoping to sell as many of them as they can and make their profit. Your ring will be worn by countless other women when you buy it from a store like that. But when you get a custom ring, it can be entirely your own. A synthesis of you and your loved one. A symbol of your unique brand of love. This is what I strive for each time I work with a client. And this is why I love what I do. I’m flexible. I understand that things can sometimes change for my clients. They might move the date up and want something immediately available. Or find another option they like more. I offer 100% money back guarantee for that reason. And I won’t take it personally. I love to create jewelry. I always hope that what I create brings joy to my clients but no matter what happens, I’m still doing what I love. With the holidays just around the corner I thought I would share this great look at birthstones. 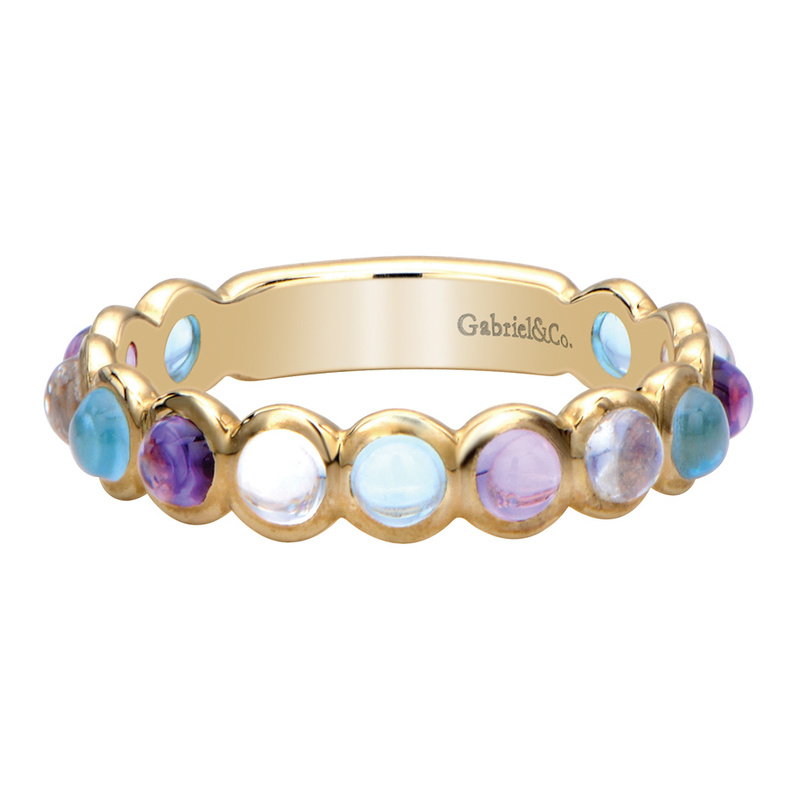 Birthstones in jewelry are a wonderful way to personalize a gift. The jewelry world is very closely linked to the fashion world, and so I enjoy watching the trends as they come and go from year to year. A current trend that looks like it will be continuing into the next year is Floral prints and designs. When we think of flowers, we think of springtime. We are reminded of birth; of new beginnings. Those crocuses push up through the snow and tell us that winter is almost over. It is this hopeful and youthful energy that flowers bring to us in all of their forms. From actual bouquets to floral print furniture to, yes, flower designed jewelry. The whimsy and fantasy of floral jewelry is so evident that it easily adds those elements to your style when you accessorize with them. The wonderful thing about floral design is that there are so many variations and so much diversity. It’s easy to find shapes and patterns that fit your unique style. Some may prefer a bold, obvious flower dangling from each ear. While others would like a pendant reminiscent of flower petals. If you don’t like the fully floral style then another way to take part in the floral trend is through color. Flowers are naturally and brilliantly colorful. When our jewelry takes on those same diverse hues, we get the whimsy we seek without needing a clear flower design. Not just flower designs but nature in all of its beautiful forms is becoming a feature of fashion in all areas of design: interior, furniture, fabric, clothing, accessories and jewelry. 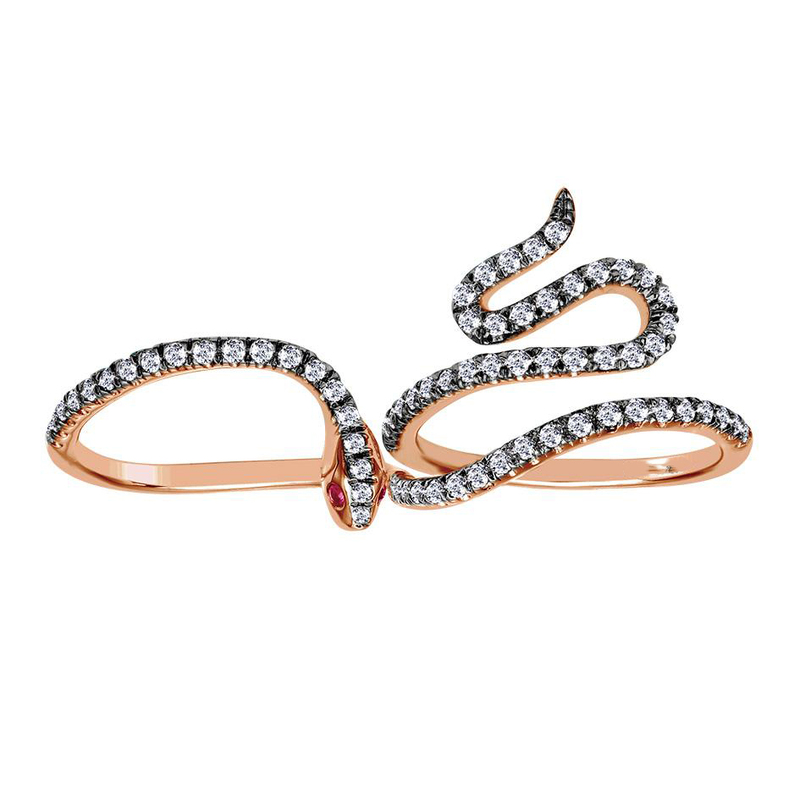 Like this stunning snake ring. Or this design reminiscent of vines. So as you search for the perfect piece of jewelry, remember what you see in the natural world around you. And, as these pictures attest, Marx Jewelers in Portland, Oregon has a stunning array of floral and natural styled jewelry for you to choose from. So find some jewelry that will inspire you and fill you with that hope of new life and youthfulness that only nature and flowers can provide. Yet again I’m thinking about family and feasting this month. I guess it’s just part of the season during these fall months. So indulge me a little as I step out of my role as your jeweler and tell you a little more about myself as a man, father, and resident of Portland Oregon. I enjoy being able to make food for my family when I get the chance which is mostly for necessity. Even when it’s part of the daily grind, I try to make little choices here and there that make a difference. I love living in Portland Oregon because of the farmers’ markets and fresh produce in the area. Not only is the food delicious and healthy, but I like supporting other local business owners. I also take advantage of health food stores. I like to get the best food that I can for my family. One of my favorites is Ezekiel bread, which is live sprouted barley bread made from a recipe found in the Bible. It tastes good and it’s good for you. That’s how I like it! I include traditional food from Central Asia and Russia in the diet of myself and my family to keep us connected to our roots. This isn’t as obvious as far as good choices for feeding our families goes; but I think, with the prevalence of fast food and convenience foods, we are losing some of the art of cooking that our ancestors have known for so many generations. I like to make the food for my child’s lunch instead of having her get it at school. It’s just one more thing during the day that connects me to her. Even if it’s just a simple sandwich. Good food, a close family, and time that we can spend together. It’s all that matters in life. Oh, and a sparkling diamond or two can’t hurt! Not Just a Portland Jeweler – The Family Cook Too! While being a Portland jeweler is my passion and I enjoy being able to provide beautiful wedding rings and other jewelry pieces to the people of Portland – I am also quite fond of cooking. I wouldn’t say it’s a regular hobby of mine, but it is certainly a skill I have and use frequently. My ancestral roots are not as firmly planted as some people, I’m sure, but I do identify with Russia and the Central Asian countries where I grew up and where my family’s ancestors have lived for generations. 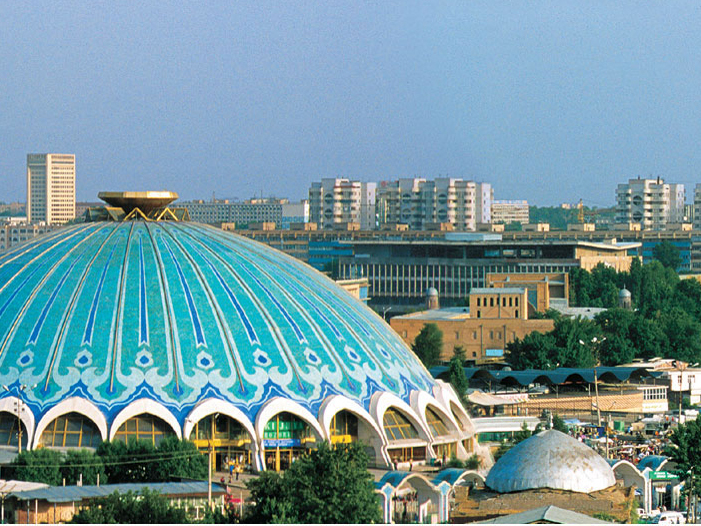 I was born and raised in Uzbekistan, in Tashkent, the capital city. This is a unique area because of it’s location connecting East Asia, Central Asia, Russia, India, and Europe. It was along the silk road route and as such as a rich history in everything, including cuisine. This is purported to be where roadside grilling and to-go food first originated as chefs set up cook fires along the caravan routes to barter fresh hot food with the travelers and their new merchandise. Like many other cultures, perhaps because it stems from some common history, it is tradition that women cook the everyday meals, while men cook for the events, celebrations, and special occasions. It’s similar to the idea that grilling and barbecuing is something that men master here in America. If there is fire and a dead animal involved, then it’s men’s work, am I right? In Central Asia, men BBQing is a big deal. In fact, there are big competitions and large cash prizes for the winners of such contests. Not so different from the U.S., is it? I also have my own traditional with cooking and diet that I’ve been following for the last decade and that’s the Eat Right for Your Blood Type. I have Type O blood and therefore have the oldest diet of lean meats and little grain. I remember when I first started eating this way so many years ago. I wasn’t overweight but I immediately dropped the extra 10 pounds I had been carrying around for a while, and that was without any exercise. It was enough for me to keep it up over the years and it works well for me. Most often, the cooking that I do is for my family. I enjoy BBQ, as I’ve mentioned, but also rice with lamb, chicken soup, baked yams, etc. Taking the time for something as important as food, I believe, sends a great message of love to our family and friends that we share it with. During this month especially, as Americans, myself included, celebrate Thanksgiving Day, I thought about the importance of food and family. I hope you enjoy your feasting and celebrating this year.